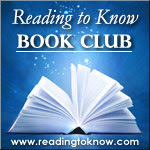 Now it is time to focus on our April read for the Reading to Know Book Club. This month our discussion is being led by Cassandra at Adventist Homemaker. She choose My Man Jeeves , by P.G. Wodehouse for us to read. We do realize that many of you out there might either a.) have difficulty in finding this particular title or b.) 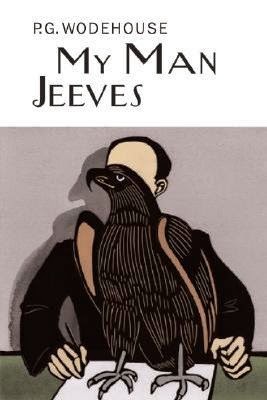 have already read this one and would like to read a different Wodehouse book. Please feel free to vary your Wodehouse reading as you see fit this month. For my part (and Cassandra's) I'll be reading My Man Jeeves because I can't recall that I've read read this specific one. Do you know someone whose taste in books is so much aligned with yours that you’ll read anything they suggest? My father-in-law fills that role in my life. He is a retired history professor and has great taste in literature. Several years ago, he recommended that I try reading a P.G. Wodehouse book. Being the methodical person that I am, I started at the very beginning of Wodehouse’s writings and started reading. I read several books and loved them. British humor, fun plot lines, and they have stood the test of time. My library carries an entire shelf of Wodehouse books. I hope you’ll read along with me and share your thoughts! Are you reading along with us? We'd love to know it, if you are. Just leave a note below if you would. Yep, I'm in. Though I was dismayed to find the first couple of stories very familiar and then read that they were rewrites from the one other Jeeves book I've read, Carry On Jeeves. But I had already started, and it wasn't a long book, so I kept going. Thankfully there was some new material further in.